Bala K. R. Balachandran is a professor of accounting and operations management at New York University Stern School of Business. He teaches courses in management accounting, management control systems and financial accounting. Professor Balachandran joined Stern in 1979. His primary areas of research include optimal operation of service systems, incentive contracts and mechanisms, transfer pricing determinations, conceptualization of unused capacities and their optimal utilization, warranty contracts, quality enhancement programs and reporting, activity based costing systems business measurement systems and optimal performance evaluations. Professor Balachandran has written and published more than 65 articles in leading academic journals of economics, accounting and management science. He is the editor-in-chief of the Journal of Accounting Auditing and Finance. In addition to serving on the editorial boards of several journals, he has refereed for numerous journals and research funding agencies. 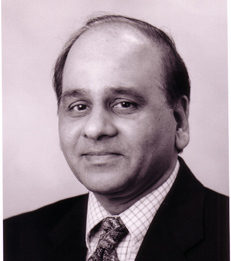 Before joining Stern, Professor Balachandran's taught at the University of Wisconsin and the Georgia Institute of Technology, and was a visiting professor of management control and performance measurement at SDA Bocconi University, Italy and International University of Japan. He has served as the associate director of the Ross Institute of Accounting Research and doctoral program director of accounting at New York University and a member of the Wisconsin Governor's Commission on Education. He has lectured internationally in the United States, Europe and Asia in several conferences and universities. He is a member of the Asian American Advisory Council to the Governor's office in New Jersey and a member of the International Advisory Board of the Indian Institute of Finance Business School in India. Professor Balachandran earned his Master of Science in industrial engineering, his Doctor of Philosophy in operations research and his certificate in management accounting from the University of California, Berkeley.